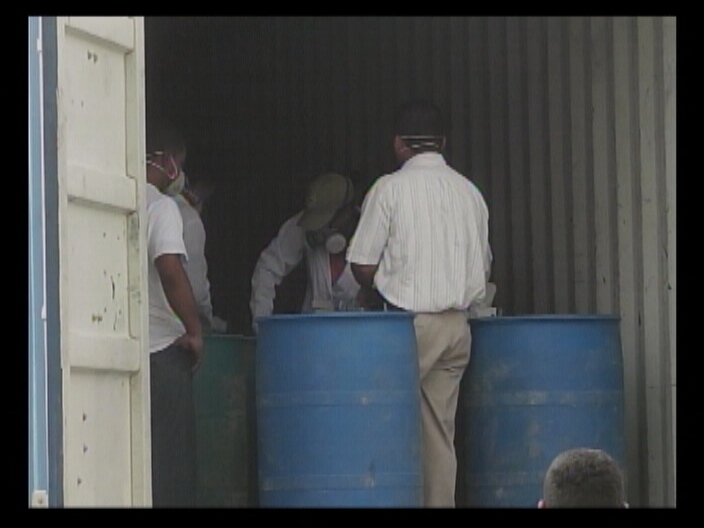 Tonight, eight men remain in lockdown in San Ignacio following the discovery of what are believed to be chemicals used in the manufacture of the drug methamphetamine. A Police Quick Response Team was on patrol in the Bullet Tree area when they noticed a container truck parked on the side of the road near the Bullet Tree Police Substation. A subsequent search resulted in the discovery of ten plastic drums with contents unknown within the container. It is believed that the container entered the country illegally, bypassing the border entry point. 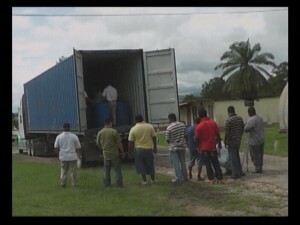 On Monday eight persons from Corozal and San Ignacio were detained while tests were conducted on the contents of the drums. Tonight two of those drums have been tested – one contained hydrochloric acid and the other contained ammonium hydroxide, both used in the manufacture of methamphetamine, commonly known as crystal meth. That comes as no surprise to Police, whose investigation has proceeded with dispatch. 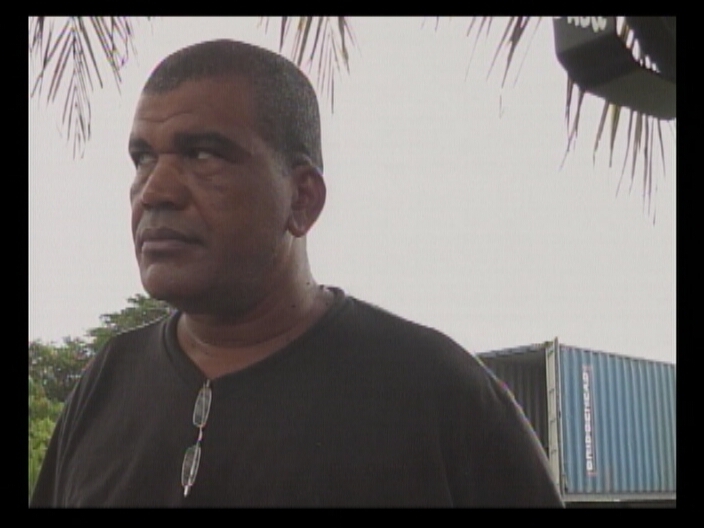 Pending tests on the other eight drums, the eight men in custody have been charged by the Customs Department for recklessly acquiring controlled goods and dealing in uncustomed goods. It is believed that those charges are just the tip of the iceberg, as Police are expected to lay more serious charges on Wednesday. How funny, both officials and higher ranks are very well aware of the illegal entry and the police station in bullet tree are also in it. how else will it by pass without difficulty. The other day police had check point at the entrance to bullet tree, first bus stop coming from San Ignacio. I told him, I have question, why are you doing check point here when you are fully aware that the illegal point of entry is across the bridge by River Side Resort. He replied the officials there are the ones responsible and in turn I replied many a times I have passed by and see the containers pass to and from . No one appears to search them or on other occasions you see a person off the truck runs with a paper inside to the police station and out. Nothing else happens there after. Cargo in and out of Belize. He said there are some officials that don’t do their jobs. I am like OK. Then do something about it. They didn’t break no law. Another dude pulled the same stunt at the port. He didn’t break no law. Precursors to make meth are legal. If those barrels tip in the truck there’d be a disaster. Sounds like major part of the police force strategy planning is corrupt, or their immediate subordinates are corrupt. Which one is closer to cabinet is a starting point to figure out the source of the rot. Arty Salvidar seems to be in line for action. Is it going to be him, or everyone under him? This illegal entry/exit point near Bullet Tree Falls has been in operation for years. Condoned and protected by the local ministers and big name smugglers who prevent the police and BDF from shutting it down. There is no telling how much contraband has flowed through this illegal hole in our fence. 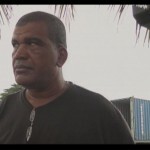 The corruption in our Belize is out of control and will eventually bring us down. We the people are the only ones that can stop it and stop it we must. Vote these criminals out of office and then watch the new representatives like hawks.